ASUS ROG (Republic of Gamers) has announced a trio of new Strix XG HDR gaming monitors at CES 2019. 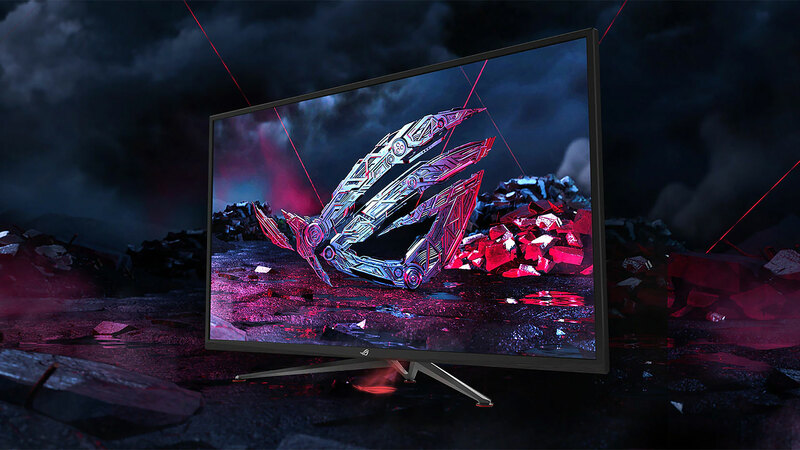 The three monitors all support FreeSync 2, feature a response time of 4ms (GTG), and cover different formats including 4K, ultra-wide, and curved models. Secondly, the Strix XG49VQ is a 49-inch ultra-wide monitor with a resolution of 3840 x 1080 and an aspect ratio of 32:9. It features a refresh rate of 144Hz, 90% CDI-P3 coverage, VESA Display HDR 400 compliance, and is capable of outputting three sources at the same time. It also comes equipped with two 5W speakers, two HDMI 2.0 ports, one DisplayPort interface, and several USB 3.0 ports. Lastly, the Strix XG32VQR, the smallest of the three new display, is a 32-inch 2560 x 1440 resolution curved monitor with a curvature of 1800R. It also features a refresh rate of 144HZ, 94% DCI-P3 coverage, and VESA DisplayHDR 400 compliance. While it doesn’t come with speakers, it does have the same ports as its siblings including two HDMI 2.0 ports, one DisplayPort interface, and several USB 3.0 ports. Apart from FreeSync 2, all three monitors also feature a brightness of 450cd/m2 and TÜV Rheinland Eye Comfort Certification for flicker-free operation and low blue light output, and ASUS Shadow Boost technology to improve viewing in dark areas. The ASUS ROG Strix XG49VQ and XG32VQ gaming monitors will be available by the end of January 2019 while the XG438Q will be released sometime in Spring 2019.